The holidays are over, and twins Pat and Isabel O’Sullivan are dying to get back to school. The big question on everybody’s lips is – who will be head girl? Meanwhile, the third form have written a school play, but jealous Fern is plotting to ruin it. And then a terrible accident reveals the true leaders at St Clare’s – and shows up the cheats and cowards too. This is a great book, it made me beg my mother to enrol me into boarding school. 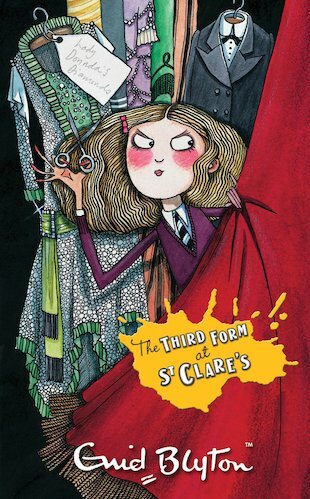 This book is a masterpiece Pamela Cox takes after Enid Blyton’s amazing talent of writing this book is dramatic, funny and definetly brilliant I can’t put in words how much I love this book. i love this book! really recommend it as it is really funny! Enid Blyton is amazing person! She lived next door to a friend of my mums and they said she never really liked children!! Surprising isn’t it!! But she can sum up all the characters in a school perfectly! Fern is just a spoilt child and doesn’t understand what spiteful means.. she tries to wreck the third forms play but doesn’t quite manage to ! !